SmarTech Publishing just released my latest AM market report, this time on AM workflow automation, that is automation of the AM production line. In this report, I tried to assess what the overall business volume could around the establishment, within tomorrow’s automated factories, of the fully digital production line which use AM as the core production process in an end-to-end production cycle. For this report, I only considered automation of the mechanical processes involved. In other words that part of digital manufacturing that takes the product from a digital file ready to be 3D printed (so after it underwent CAD, CAE and CAM software processes) and before the distribution and retail phase (which is managed by CRM and ERP software). While the creation and commercialization processes are well on their way to be fully digitalized in the Industry 4.0 concept, the part which I analyzed and researched in this report is the least digital today. 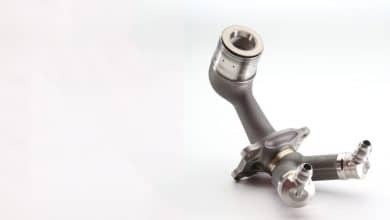 Even with a potentially pure digital process like 3D printing at its core, the manufacturing process is the most labor intensive so it is the primary bottleneck in a more streamlined, efficient and sustainable idea of production. Within this process exist several different phases and levels where automation could be implemented. In some cases the means to do it already exist and simply need to be assigned or programmed for specific tasks, in other cases, they still need to be developed. 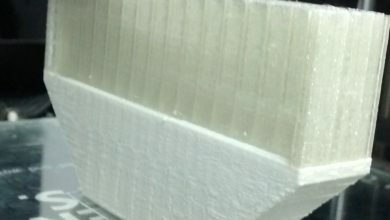 However, in all cases, it appears clear that most 3D printer manufacturers have become aware that – as AM becomes a more efficient mass manufacturing or mass customization platform – the 3D printer is no longer a stand-alone system but needs to be integrated into so-called “production cells” or “end-to-end digital production lines”. These production lines include several different stations – which can also be integrated into single systems – with automation occurring at three different levels. One is of course software, where MES (Manufacturing Execution Systems) softwares, such as Materialise Streamics and Authentise, are being optimized for AM. 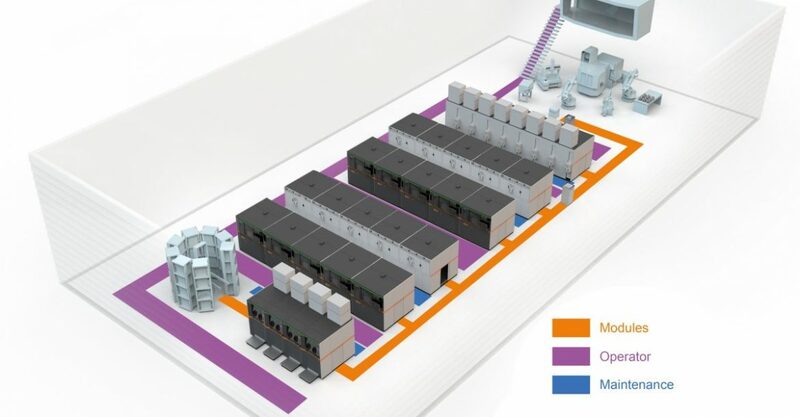 Others take place within the different processes (3D printing, material handling, post-processing, finishing) and in the overall AM workflow automation, with robotic systems and electronics (sensors and networks) acting to connect the different stations. Every major company is working toward this goal, both in polymer and in metal AM technologies. Some more than others. Concept Laser, for example, has outlined a clear vision for the fully automated factory of tomorrow – which provided a base for my own research in this field. Other metal AM system manufacturers such as Renishaw and Additive Industries have introduced production systems which provide integrated and automated powder sieving and resupply, thermal treatment and even part handling. EOS also provides solutions for both process and workflow automation, while major DED system manufacturers like DMG Mori and Trumpf are simply implementing current machine tool automation practices to the include the metal laser deposition engines. In polymers, the stated intention form new entries HP and Carbon to target production through high-speed laser technologies has been driving current PBF and photopolymerization market leaders like EOS and 3D Systems to focus more on optimized and automated workflows and new systems. 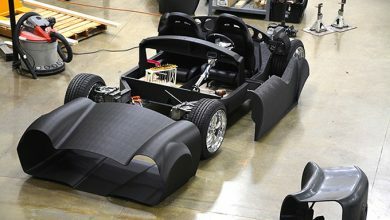 At the same time, established low-cost system manufacturers such like Formlabs (for SLA) Ultimaker, Lulzbot and MakerBot (for filament extrusion) are building automated production cells and networked 3D printer farms which contributed to driving Stratasys to build three different solutions employing robotic arms and multiple 3D printing engines for increased automation and production rates through 3D printing. 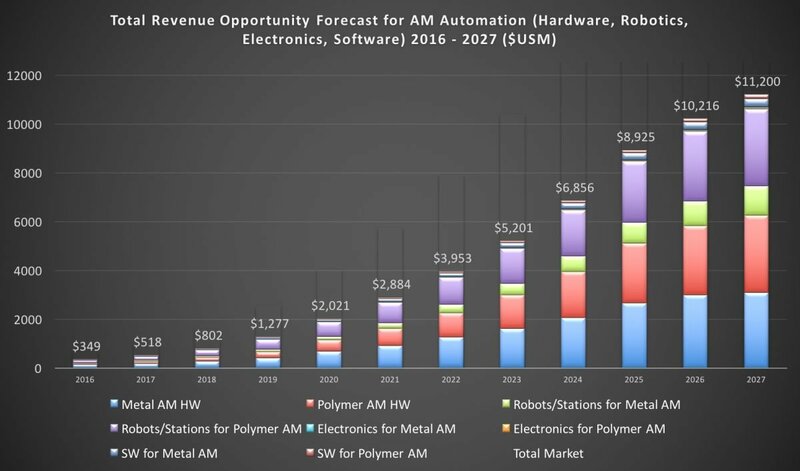 Many of these automated solutions are run using Siemens software, with the PLM software giant actively partnering with AM companies to further develop automation capabilities in the AM process. 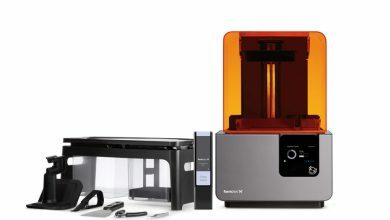 In the report, I began with SmarTech’s extensive and consolidated database of yearly 3D printer sales and estimated the number of systems which are going to be both process and workflow automation ready. My research, which included conducting interviews with some of the major players in this area, enabled me to estimate the size of tomorrow digital, additive, automated factories. I conducted interviews with and gathered information from Concept Laser, Carbon, Desktop Metal, HP, Stratasys, Materialise, Post Process Technologies, Kuka. Using this data I assessed the number and overall revenues deriving from the robotic and electronic systems which will be necessary to run these factories. Finally, leveraging SmarTech’s AM software sales database and interviews with market leaders and experts like Siemens’ Ulli Klenk and Authentise’s André Wagner among others, I assessed the market for the software that will increasingly be used to run these processes. Summing up all these factors I expect the market for AM automation to grow from about $500 million today to just over $11 billion ten years from now. 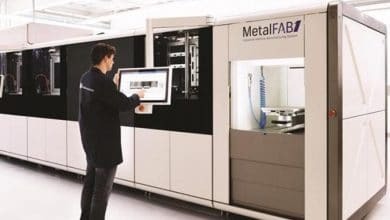 The biggest revenue segments will be metal and polymer 3D printers, especially the PBF ones, with robots (for both metal and polymer workflow) also representing a significant share of the market. 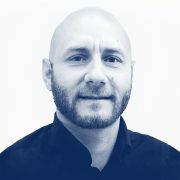 Software will be a strong driver as well, while the cost of electronics (without including computers and servers) is surprisingly low since the overall numbers of machines and size of the factories is still expected to be far from that of current mass manufacturing. IIoT and Industry 4.0 solutions are being implemented in several segments of industrial manufacturing. By integrating AM into the digital production workflow this level of automation could reach new heights. AM cannot evolve without automation and no factory could ever be fully digital without integrating the full voxelization of matter and products.